One of the best experiences I've ever had. Busy and efficient practice (which is a good sign) but Dr Segal spendsas much time as you need answering all your questions and doesn't appear rushed. You can tell he loves what he does and is very knowledgeable. His assistants are friendly and seem very happy and interested in the patients. Really good communication and friendly, professional atmosphere. One of the best experiences I've ever had. Busy and efficient practice (which is a good sign) but Dr Segal spends as much time as you need answering all your questionsand doesn't appear rushed. You can tell he loves what he does and is very knowledgeable. His assistants are friendly and seem very happy and interested in the patients. Really good communication and friendly, professional atmosphere. Mikalyn and the assistant who helped me were awesome, friendly, and very inviting! Thanks for the smiles and enjoyable visit.Dr. Segal was very informative and had a good chairside manner. Would definitely recommend to others! Mikalyn and the assistant who helped me were awesome, friendly, and very inviting! Thanks for the smiles and enjoyable visit. Dr. Segal was very informative and had a good chairsidemanner. Would definitely recommend to others! Dr. Segal has tremendous experience as an ophthalmic surgeon. He received his Bachelors and medical degree at The University of Texas while his internship was at Harbor UCLA Medical Center; Torrance, CA. Dr. Segal went on to graduate from the residency program at The University of Texas Medical Branch, Galveston and is Board Certified in Ophthalmology. As a refractive surgeon, Dr. Segal has corrected the vision of numerous patients through the use of the LASIK procedure with fantastic results. Dr. Segal is available for medical consultation in all areas of comprehensive ophthalmology, including cataracts, refractive eye surgery, glaucoma and medical retina. 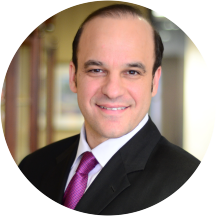 Dr. Segal is a member of several ophthalmic associations including the American Medical Association, the Harris County Medical Society, and Refractive Surgeons. Great doctor and staff! Would recommend. Not only was he awesome, he saw me at my appointment time. He was very courteous as was his entire staff they helped me get in, around and out of the office because I am in a wheelchair and I justhad a spine surgery a few weeks ago. The staff and doctor were very nice and truly cared about me and all of my concerns. Felt comfortable and staff answed all questions. My appointment was great. Everyone there was helpful and very nice. I have already referred them to a friend. Both the doctor and the entire staff were extremely professional and very thorough. Dr. Segal was fantastic and ver caring and understanding. He was very professional and answered all of my questions! Excellent care received from all members of Dr. Segal's team. They were attuned to what was going on with every patient in the office. Each team member was reassuring and delightful and totally considerate above and beyond the customer servicelevels I have found anywhere in 2011. I was a new patient, and doctor's offices terrify me, but I found a level of trust in medicine during my visit here.